Sense & Sensibility 또는 Pride & Prejudice? Tell me why in the comments! Sense and Sensibily (1995) has a 95% average critic ranking on Rotten Tomatoes. Do 당신 agree with this? Did 당신 like the movie enough to see it again? My 가장 좋아하는 Marianne's dress vs my 가장 좋아하는 Elinor's dress in the 1995 adaptation: 당신 prefer ... ? Will 당신 가입하기 the Dan Stevens (Edward Ferrars 2008) spot? I have been a 팬 of Jane Austen's 1811 novel, "Sense and Sensibility" ever since I saw Ang Lee's 1995 adaptation. 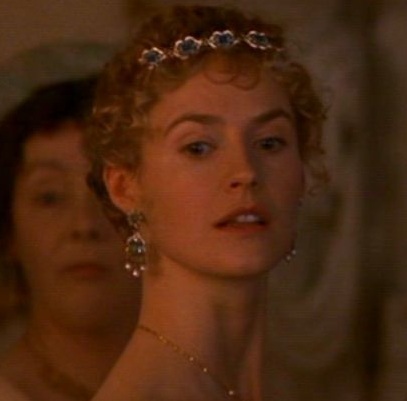 In fact, the 1995 movie initiated my appreciation of Austen's novel and other works. But there is a certain aspect of Austen's tale that has confused me for years. And it has to do with Edward and Robert Ferrars and their family's fortune. The 년 2008 marked the fourth adaptation of Jane Austen’s 1811 novel, "Sense and Sensibility". First aired on the BBC, this three-part miniseries had been adapted 의해 Andrew Davies and directed 의해 John Alexander. I believe that Jane Austen was way ahead of her time in a literary sense when 글쓰기 her novels, especially "Sense and Sensibility." After 읽기 the book and seeing the movie a billion times I have had plenty of opportunities to study and analyze (yes, I'm an analyzer) Elinor, Marianne, and their suitors. a comment was made to the poll: Marianne 또는 Elinor? Who's your 가장 좋아하는 sister? a comment was made to the poll: I know it's hard but...who do 당신 prefer? What's Miss Gray firstname ? when 당신 see the film, whom 당신 remember? a relative? a friend? Brandon, Edward, 또는 Willoughby - who would 당신 pick and why?